Titian had a large workshop. During his long and productive life, a succession of apprentices and helpers assisted him in the preparation and painting of many pictures for his numerous clients. Some of his students came to study with him, they even came as far away as the Netherlands. 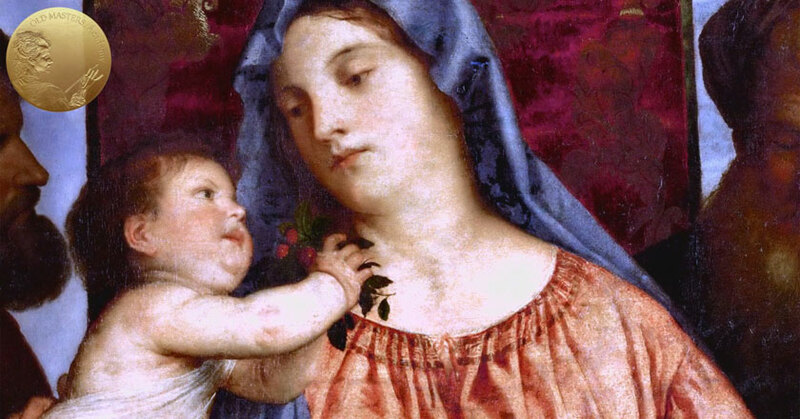 Despite numerous artists who studied under his guidance, none of these men, with perhaps the exception of Palma Giovane, ever reached the level of mastery and recognition attributed to Titian. For some artists from his circle, being an assistant in Titian’s shop was probably a lifetime career. A number of his assistants never had been his students – they were his assistants for a short time, then they continued with their own independent professional careers. This is true in the case of Paris Bordone and Bonifazio Veronese. Some biographers state that Titian employed El Greco during his last years. Another example is Lambert Sustris, a Dutch painter who assisted Titian with depicting landscapes. There were also members of his family, the Vecellio family, who were engaged in Titian’s workshop. Among others were two of his sons, Pomponio and Orazio. Orazio Vecellio (c. 1528-1576), his favorite child, distinguished himself as a portrait painter, but he also painted historical subjects, some of which were destroyed by fire. He abandoned his painting career for alchemy and died the same year as his father from the plague when he was about 48 years old. In The Allegory of Age Governed by Prudence, Titian depicted himself, his son Orazio, and his nephew, Marco. Marco (1545–1611), Titian’s nephew, was also called Marco di Tiziano. He was Titian’s favorite pupil. He adopted his methods of painting, and among all his students, he painted the closest to Titian’s style. One of Marco’s sons, Tizianello, (1570 circa–1650) picked up Titian’s painting method. He had learned his style through his father’s work. Titian also had an older brother, Francesco Vecellio – (c. 1475–1560). He had quite a short career as an artist, lasting just over 10 years. He probably was introduced to painting by Titian. The story goes that his success in painting (San Vito Church in Cadore) made Titian jealous, so Francesco was diverted from painting to soldiering, and afterwards, he led a mercantile’s life. Whatever the truth is, Titian’s reputation as a jealous person towards anyone whom he suspected to be a potential competitor was widespread. Other members of Titian’s family include Fabrizio Vecellio and his brother, Cesare Vecellio. Cesare is well-known by his book of engraved costumes and Venetian fashion. 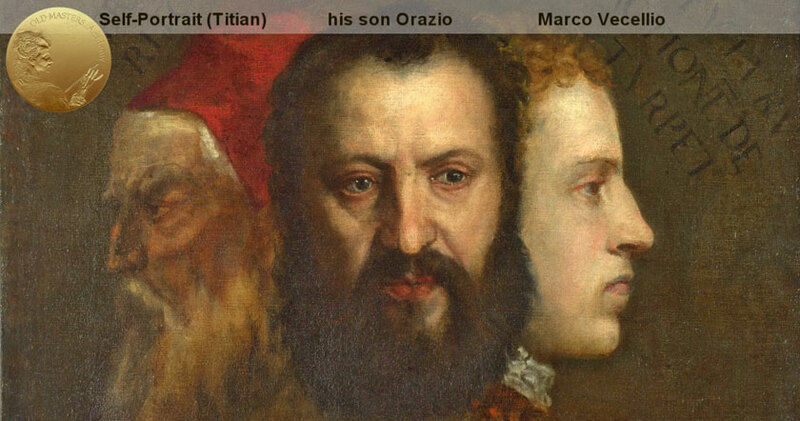 Two more relatives of Titian include Tommaso Vecellio and Girolamo di Tiziano (Girolamo Denti). 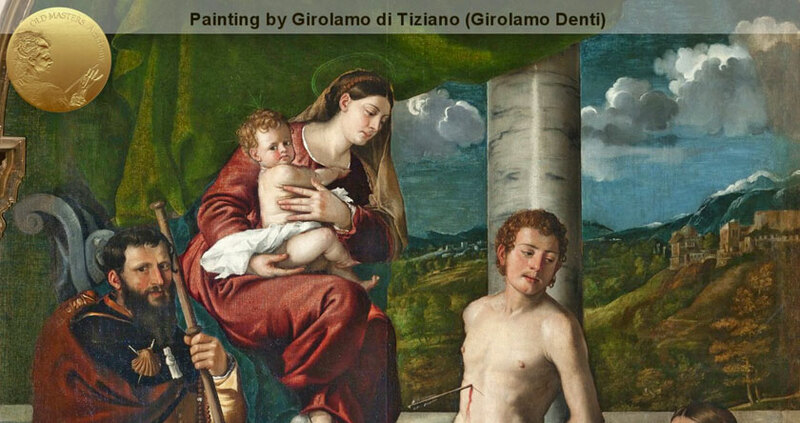 Girolamo assisted Titian in some of his less important works. He was excellent at copying Titian’s originals. Apart from that, he also produced compositions of his own design. 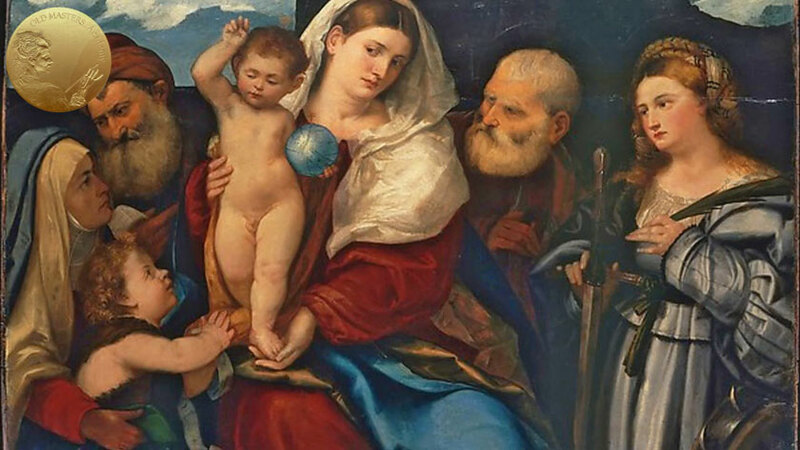 The members of Titian’s family were not up to his level and some of them were sufficiently inferior. So, as you see, direct training under the greatest painter is not a guarantee that you’ll accomplish a mastery. Even if all the rumors about his jealousy of rivals is grounded, he may have felt that there was no need to train painters who would eventually challenge his artistic hegemony. But in the case of his family members, especially his sons, I suppose he naturally tried to share with them his experience and motivated them to excel in art. This was advantageous from a mercantile view, as they could help him successfully run his art shop’s business. The more skillful family members are in the family enterprise, the better things are for business, and Titian was known to be a shrewd businessman. This was typical, during the time of the Renaissance, of art workshops; they were often enterprises. Businesses were often passed from father to son. 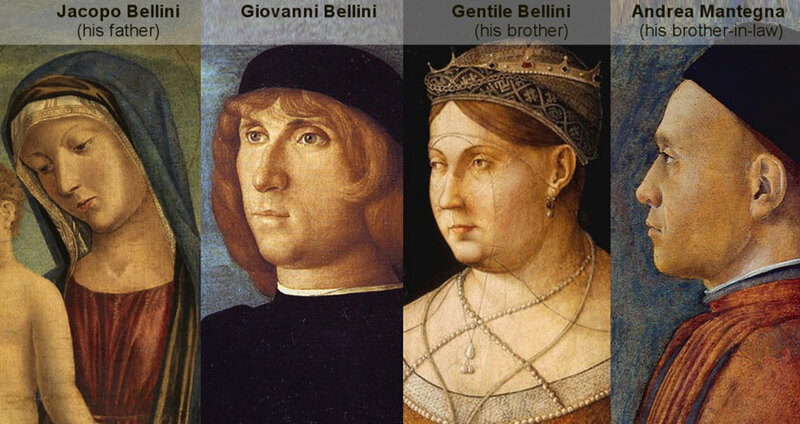 This was true in the case of Bellini’s family. Titian’s large workshop was so busy, even important customers had to wait in line to get their portraits, and religious and mythological compositions. The members of Titian’s workshop were also busy with generating replicas and variants of his most successful compositions. Variations could be sold later to his noble patrons. During the late period of his life, many copies and replicas of his earlier works were completed by his studio assistants. Later, this caused large problems when considering attribution and priority of the many different versions of his work. Titian, himself, took little, if any, interest in touching these works; however, some of them were touched by him more than others. Most likely, the variants were made from the so-called modelli – “studio models.” These were full-size painted replicas, which served as records of already-completed paintings, some probably done many years before. Wealthy commissioners were just as interested in replicas and variants as they were in originals, so the shop worked hard to meet their demands. The Aldobrandini Madonna from the National Gallery, London, has several versions. Usually, replicas have the same scale as the original, as the original was traced or possibly transferred mechanically – using a cartoon, to produce a copy or variant. This was common practice in Titian’s workshop. 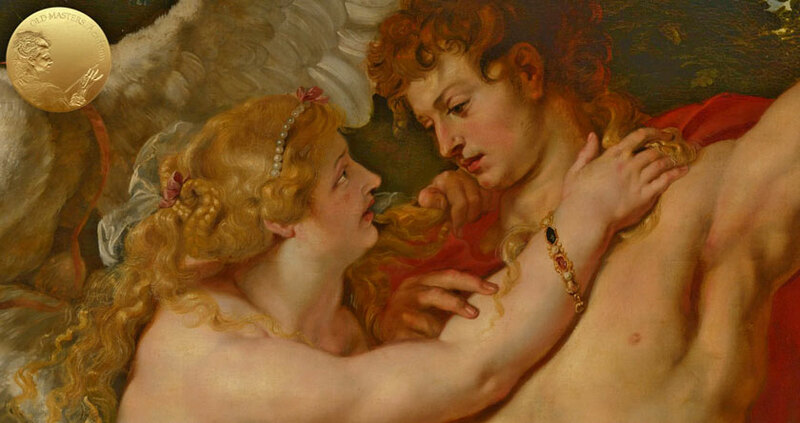 Venus and Adonis is one of the most popular of Titian’s artworks. It also has variations. Venus and the Lute Player is known to have at least five versions. In each of them, Venus is depicted exactly in the same pose. The musician on her left is changed from painting to painting. As with all successful compositions that were reproduced multiple times, the degree of Titian’s personal involvement in these versions was varied. Titian’s painting methods, particularly in the application and use of color, have profoundly affected not only his contemporaries, but also future generations of artists. Many artists regarded themselves as, in some sense, his pupils and artistic descendants. For example, Rubens, Velasquez, Reynolds, and Rembrandt were highly influenced by him as well. During his life, Titian was surrounded not only by pupils, assistants, and followers and imitators, but also by serious rivals.